Amanda Nunes shocked a lot of mixed martial arts (MMA) fans with her dominant performance over Cris Cyborg at UFC 232. “The Lioness” finished Cyborg in under a minute via knockout to capture the 145-pound title. Now, she’s the first-ever female “Champ Champ” in the promotion’s history. While nobody doubted Nunes’ ability to get the job done, nobody expected her to do it as easily as she did. Cyborg has expressed interest in rematching Nunes next, but Dana White doesn’t seem to be a fan of that idea. Before her fight with Nunes, Cyborg hadn’t lost since her MMA debut in 2005. After thrashing the majority of women she shared the cage with, Cyborg finally met her match against Nunes in California. Cyborg’s coach, Jason Parillo, believes his fighter beat herself at UFC 232. “I saw Cris go out there and beat herself,” Parillo said. “I’ve said it in many interviews before, and it was always my biggest concern – which is her just going for broke, losing the plot and swinging wild. Just going back to old school Cyborg. 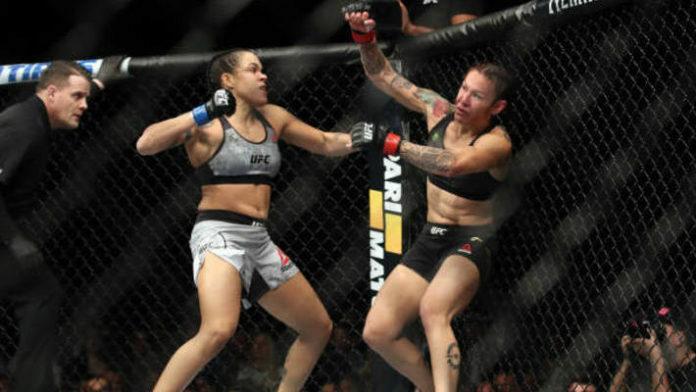 What do you think about Parillo saying Cyborg beat herself at UFC 232?